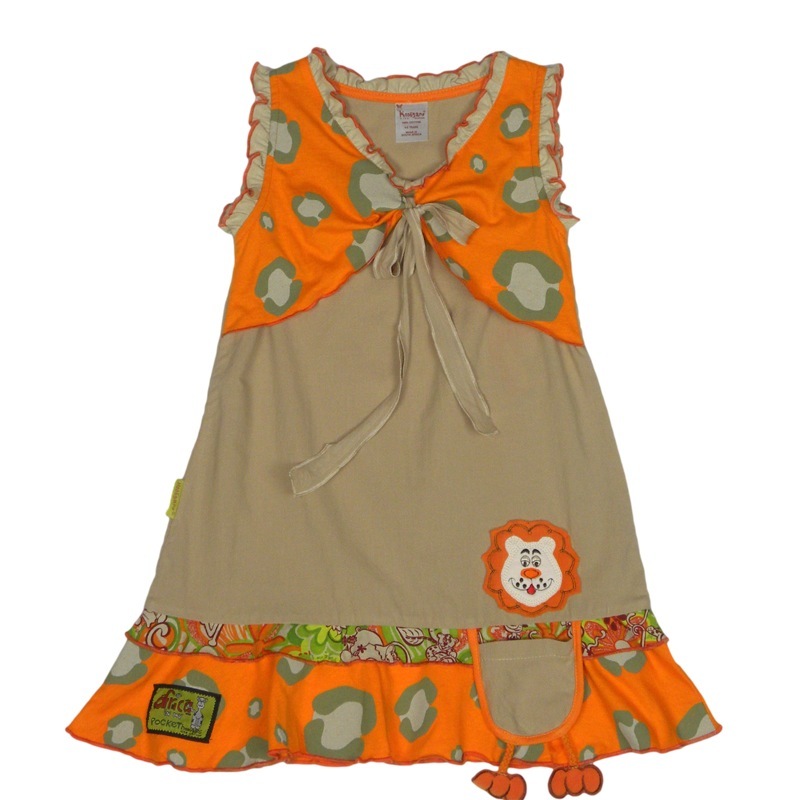 A gorgeous dark khaki cotton dress has an orange animal print bolero feature with a false tie at the front. The hem detail is 2-tone & is made up of the same printed orange fabric with a complimenting bright mini frill. A sweet little lion head is appliqued just above the pocket, with it's legs hanging down from the bottom of the pocket. Beautiful mini ruffles adorn the neck & sleeve lines.